complete sealing action within the joint. 270- to 310-degree sector of the original smoke spurt. field joint at 2.733 seconds. being burned and eroded by the hot propellant gases. countered by the guidance, navigation and control system. 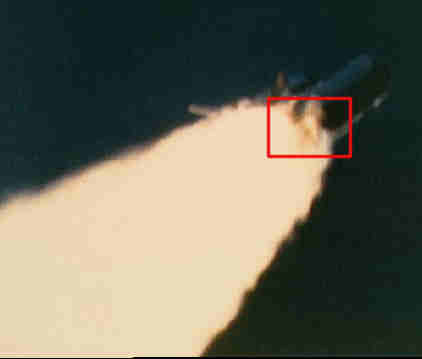 the right Solid Rocket Booster in the area of the aft field joint. was lower, confirming the growing leak in the area of the field joint. on the strut attaching the Solid Rocket Booster to the External Tank. underside of the Challenger between it and the External Tank. evidenced by the white vapors appearing in the intertank region. breach in the area of the intertank. it exited the oxygen-hydrogen flames. 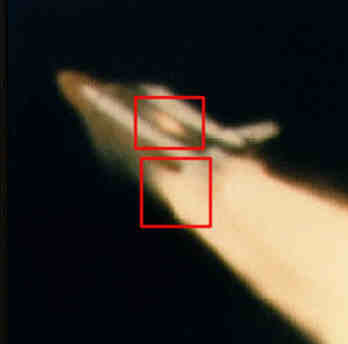 hypergolic fuel burn are visible on the edge of the main fireball. Space Shuttle system contributed to this failure. the range of most probable causative factors. field joint combustion gas leak. Sabotage was not a factor. right Solid Rocket Motor aft field joint (the joint that failed). considered factors in this accident. a result of prior use. walls of the O-ring retaining channel. these points persisted to the time of launch. Fahrenheit, or 15 degrees lower than the next coldest previous launch. 5 degrees Fahrenheit. This was the coldest point on the joint. distress during the flight of 51-L.
10-20 percent in the region of 300-320 degrees. 9. O-ring resiliency is directly related to its temperature. tang-to-clevis gap. A cold O-ring may not. between the tang and cleavis at time of ignition. wall and the other two surfaces of the channel. are enhanced by timely application of motor pressure. gap (100 to 200 milliseconds after motor ignition). pressure application to the joint by 500 milliseconds or more. right Solid Rocket Boosters was roughly equal. 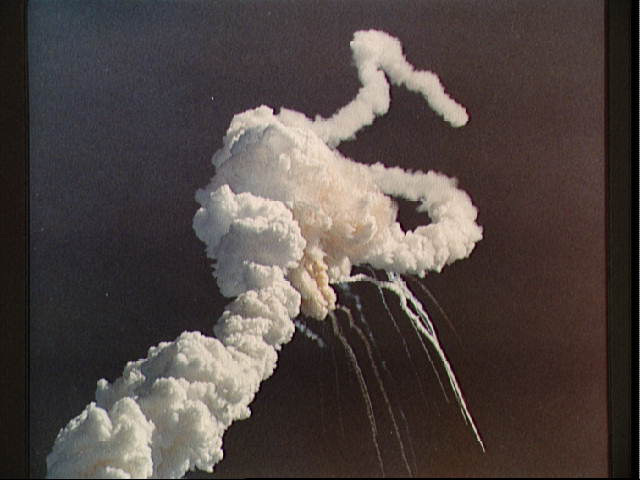 and 2.500 seconds after ignition of the Shuttle Solid Rocket Motors. 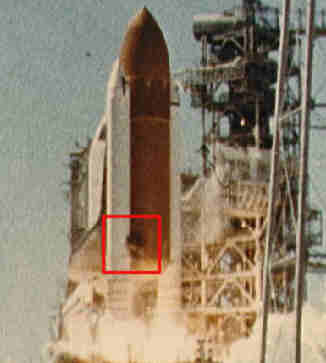 booster above the aft field joint. field joint, emerging from the top of the joint. largest values experienced on previous missions.